Find a great sale price on this 2019 Toyota Corolla Hatchback SE at Toyota of Bellingham in Bellingham WA. This 2019 Toyota Corolla Hatchback SE is located at our Toyota dealership in Bellingham. We also serve the cities of Mount Vernon, Anacortes, and Everett. So if you're looking for a great price on this 2019 Toyota Corolla Hatchback SE or just looking to get an auto loan for the vehicle you want... you've come to the right place! Toyota of Bellingham. 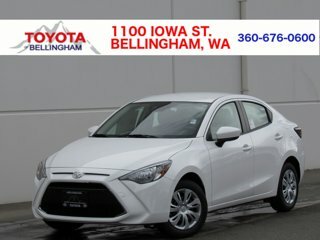 Toyota of Bellingham is pleased to offer this. SE Classic Silver 2.0L I4 iPhone Integration, Back up Camera, Bluetooth, MP3, Automatic temperature control, Blind Spot Monitoring, Brake assist, Distance pacing cruise control: Dynamic Radar Cruise Control w/Lane Tracing Assist (LTA), Dual front impact airbags, Dual front side impact airbags, Electronic Stability Control, Fully automatic headlights, Heated door mirrors, Low tire pressure warning, Radio: Entune 3.0 Premium Audio, Rear Bumper Protector, Rear Spoiler, Remote keyless entry, Satellite Radio, SE Option Package, Turn signal indicator mirrors, Wheels: 16 Aluminum Silver Metallic Painted. 32/42 City/Highway MPG Toyota of Bellingham Excellent selection of New and Used vehicles, Financing Options!